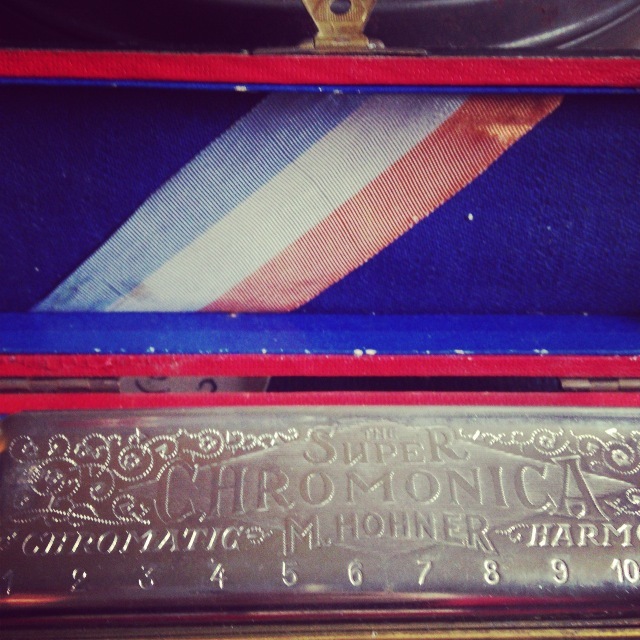 I have a real fondness for old things. 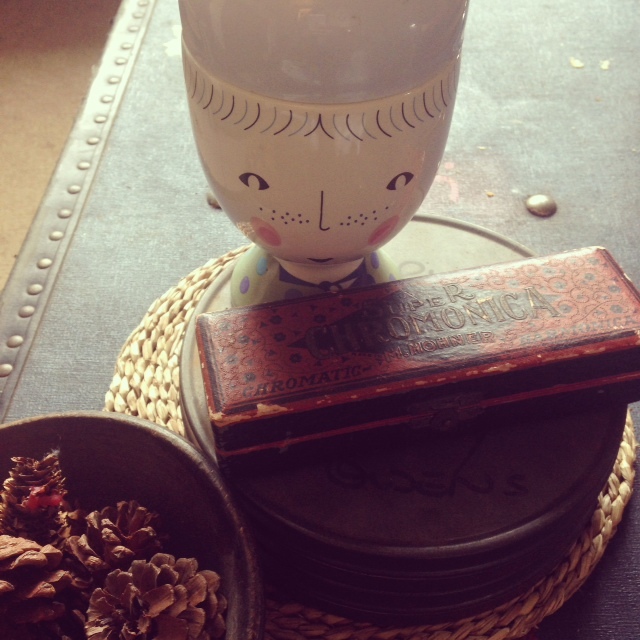 Old films, books, crockery, clothing and people. Why? I think it’s because of the stories. I love being reminded of the people that have gone before and survived this thing called life. I love the thought that the dress I’m wearing has been a part of someone other ladies story and memories and now is part of my own. Romantic and cheesy? Oh yes! All that is to offer some form of prelude to one of my favourite birthday presents. 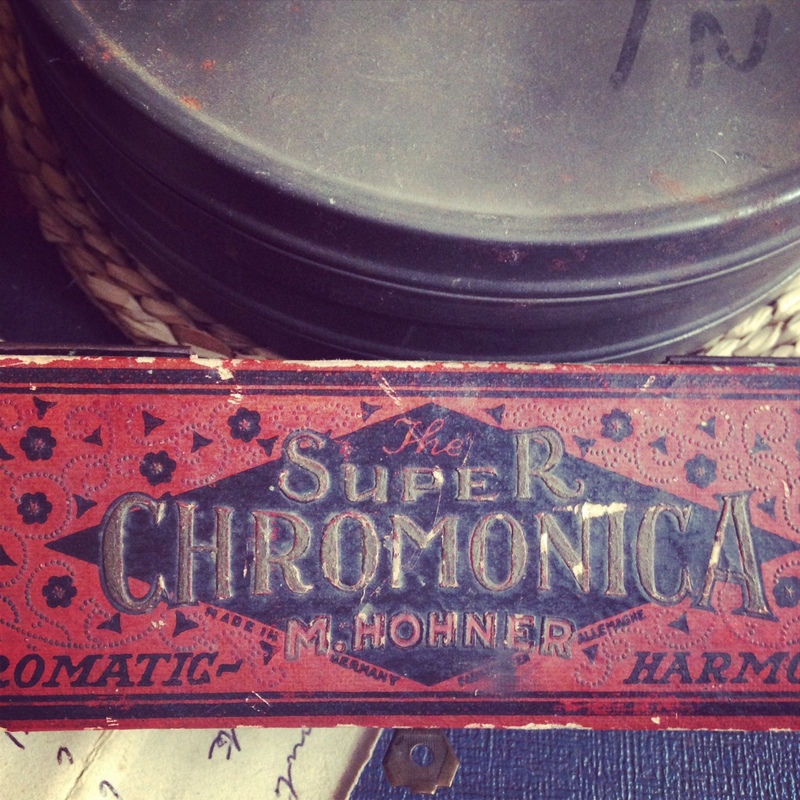 Last year, for my birthday, I was given this Hohner Chromatic Harmonica. Beautiful and old. 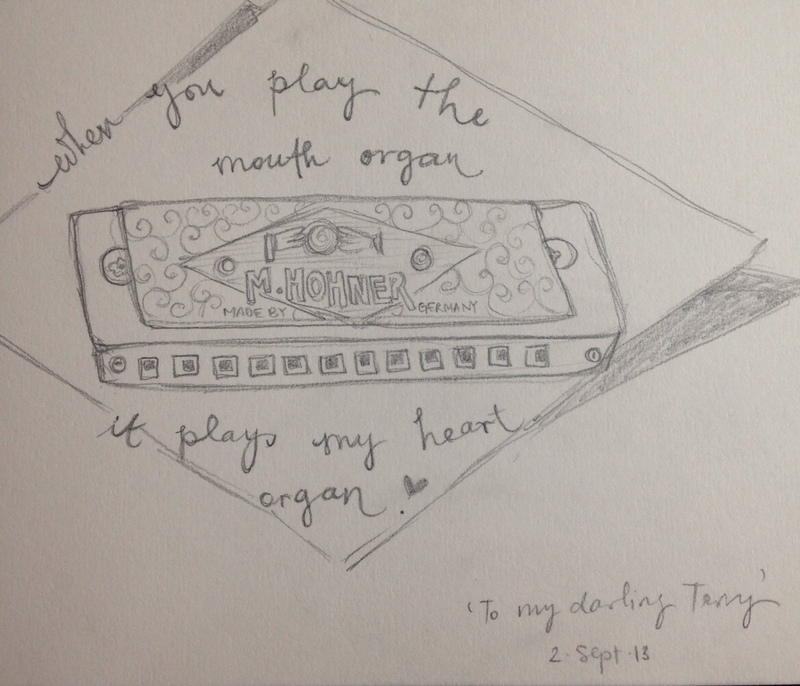 I love it, not because I have managed to master the art of the lovely mouth organ, sadly, but because of the original gift tags. 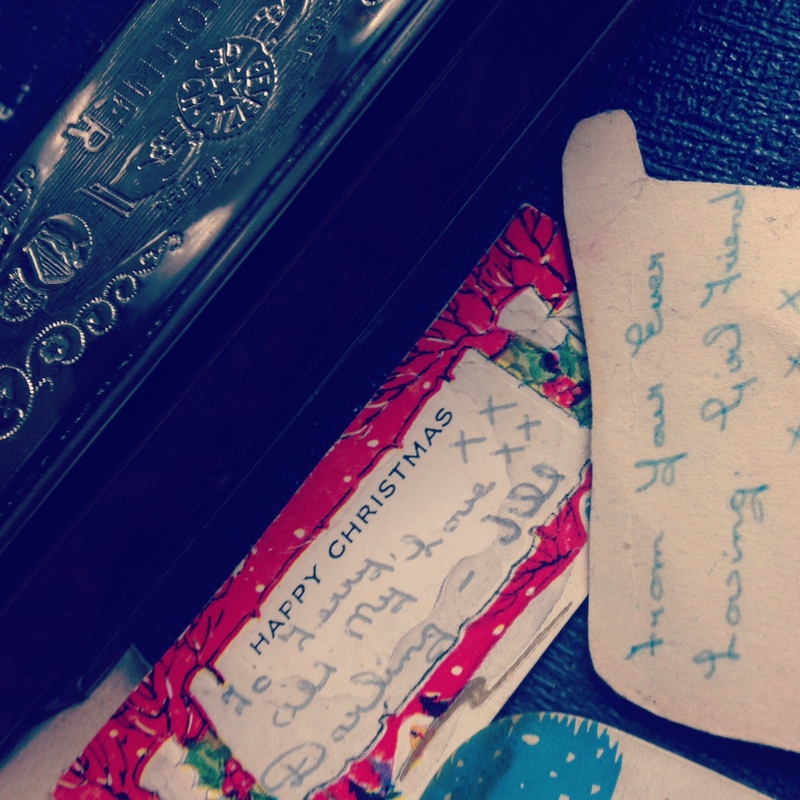 Here’s to you Terry and Jill, I hope your lives were full of love and the harmonica. … The title for this post should really be GOT instead of Found as it was one of my Christmas presents. And it just keeps on giving – every morning! It’s no secret that I love my coffee and my mornings just wouldn’t be the same without a big mugful of this fine nectar. 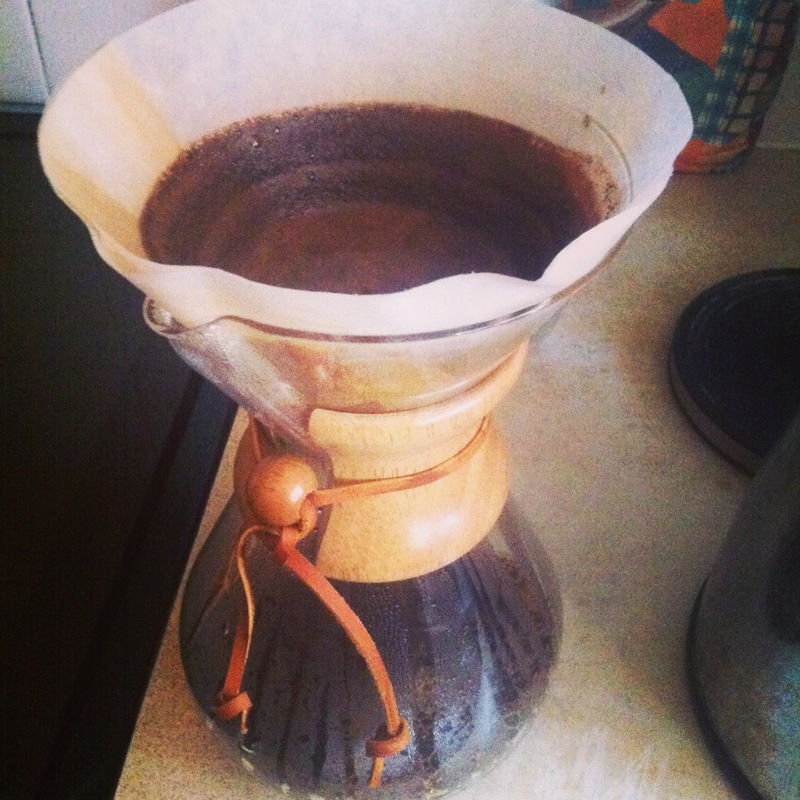 So outbursts of pure joy were witnessed when I unraveled a shiny Chemex Coffee Maker on Christmas day! It really is a simple pot where you pour hot water over your coffee, but the secret (if I have my info right) is in the triple filters that give you a smooth scum-free cuppa. 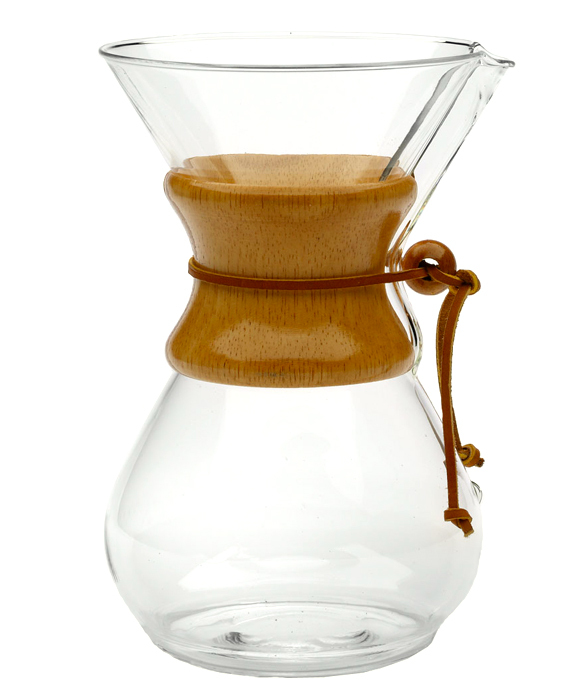 It was designed by a scientist on a search for a way to make a good cup of coffee and Chemex is what he came up with. It’s good design and function all in one! And I’m a big fan of good design. Ps. Top tip! If you’re thinking of purchasing a Chemex, make sure to shop around the interweb as the prices seem to range from £30 to £100 on different sites.. crazy. Toast! This found comes with a serious swooning warning. 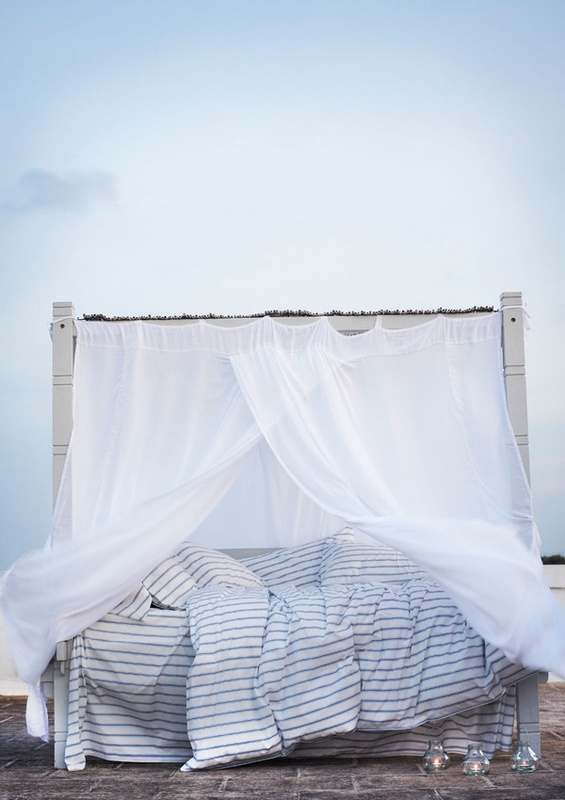 Everything is beautiful and all of a sudden you can visualise your home and wardrobe full of ‘can’t live without’ Toast items (and in the process your home has seamlessly transformed into a mountain hideaway or a beach house to accommodate all these). Just be careful, your bank account might/will not love this new found crush. That’s why these Toast goodies are usually found on my birthday/christmas wish lists. To make things even more appealing wherever possible they support organic production and discourage throw-away fashion. Love that.